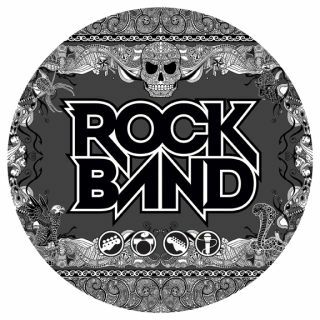 Rock Band: play the game, pick up a real guitar, form a REAL band! Children are becoming inspired to learn real musical instruments after playing music-based games such as Wii Music, Guitar Hero, Singstar and Rock Band, claims a new study. The study, commissioned by the UK's largest music charity Youth Music, claims that 2.5 million British kids have taken up a real instrument after having fun with virtual ones in videogames. Youth Music's research claims that 19 per cent of British kids have picked up a guitar or other instrument after playing a music-based game. Andrew Missingham, the music industry expert behind the report, said: "The music games are popular because they are family friendly and inclusive. And it is this take-up of the games that is credited with the take up of musical instruments, the development of transferable musical skills and even the development of performance confidence. "This research for the first time shows conclusively that young people are being inspired to make their own music by games that first piqued their interest." Christina Coker, Chief Exec of Youth Music, added: "We have established that there is a huge potential audience of new musicians and music-makers out there playing these games. "Now, we and others in the music education community should be capitalising on that interest and encouraging young people to take up real instruments. But we should also be thinking about how we can incorporate consoles and games into 'traditional' music education and be more open to embracing these tools in our teaching." So much for earlier chunterings this week from ailing music rag, the NME, with its ageing punk writer Steven 'Swells' Wells having taking a massively misjudged potshot at computer games.